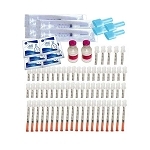 Save money with this 3 month supply for your health diet or diabetic needs. 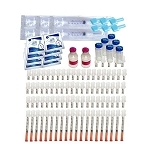 Kit is a real value and includes all the premium grade supplies needed for a safe and effective protocol. 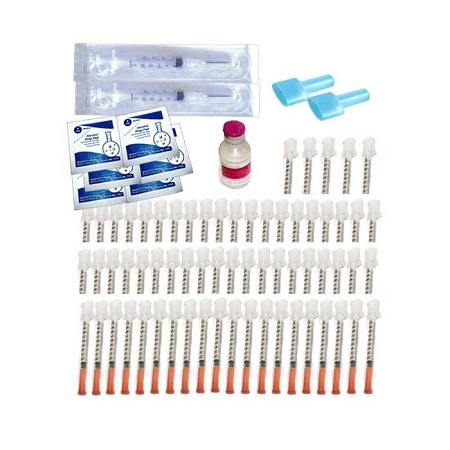 Also a great buy for TWO people who are both on a 43-50 DAY protocol. 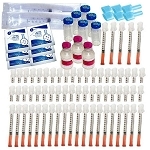 Perfect for couples or an individual needing extra mixing and injection supplies. BONUS: THREE FormaGenix Universal Ampule Openers which make opening your ampules safe (so you won't cut your fingers while opening the glass ampule) and easy. 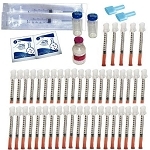 All supplies in the kit are the highest quality name brands and original FormaGenix products that are factory sealed and / or sterilized.